Having seen the roadside close up when cycling home to Boyton I noticed there is a LOT of rubbish on the road side from Sutton Hoo to our local villages. With the support from Boyton, Hollesley, Sutton Heath Parish Councils and Hollesley Bay we are organising this litter pick – probably one of the longest in Suffolk (if not the UK!?) if we manage to complete the full 8 miles – see google map for details. To do so we need help from volunteers to do a pincer movement by four teams walking along the verge collecting rubbish, converging for a mass litter mountain at Upper Hollesley Common picnic site (and to receive a cream egg for your efforts). The majority of litter seemed to be glass & plastic bottles and fast food cartons. We also retrieved 6 tyres, 3 metal barrels, a hifi unit, a portable CD player, heavy metal bar and other unusual items. In all there was around 50 sacks of litter. We should all see a difference every time we drive out of our villages and be proud of our environment. Thanks too for loan of equipment from Suffolk Coast & Heath as well as Rock Barracks and SCC Waste depot for collating and collecting the rubbish. Our aspiration is to build on this event for next year and ask all the 8 parishes across the Shottisham Pennisular to coordinate a road side litter pick in the early Spring so we can keep on top of situation. 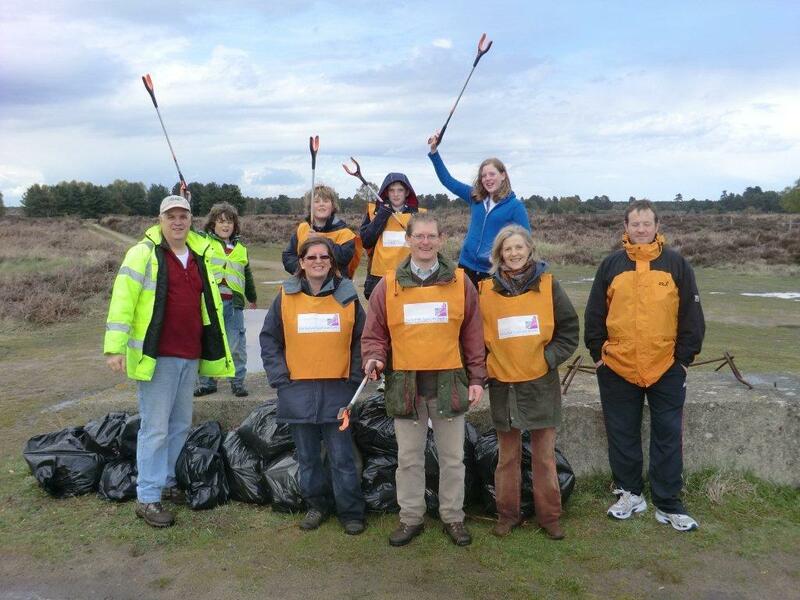 The photo above is of some of the volunteers from Sutton Heath and Boyton with just a fraction of the litter.